It’s time to start planning the design of your flower gardens this year and getting the list together of the flowers you need to purchase for the planting of those gardens. After a long (what seemed forever) winter, the warmer temperatures are so welcome and help get those design juices flowing. As we walk the grounds of Amil’s Inn we are putting together our list of flowers to purchase this year. Also we are planning the possible addition of another flower garden. We are blessed to have several groups of guests that have a “girl’s weekend” to be pampered by Innkeeper Anita and to visit and shop at several Amish greenhouses to purchase the flowers that they need for their summer flower gardens. A selection of flowers soon to be ready at M & M Greenhouse. One of the Amish greenhouses is M & M Greenhouse located just a few short miles from Amil’s Inn. The majority of the flower plantings at Amil’s Inn are purchased from M & M Greenhouse. Their greenhouse is filled to capacity of hanging plants, annuals, perennials as well as vegetable garden plants as well. 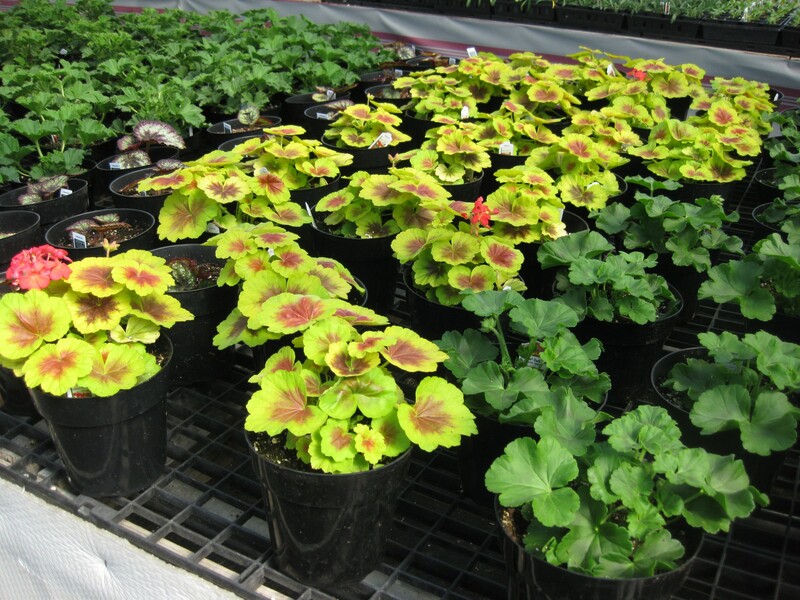 Right now the plants are only seedlings but by May 1 and maybe a bit sooner the greenhouse will be lush with the plants just ready for your purchase and planting. Enjoy the warmer days of spring and we hope to see you at Amil’s Inn to be pampered and to do some flower shopping.